This morning, the boys and I made a visit to the Sawyer Family Farm. I was given a great tour of the farm by Rob and Anna. It is quite impressive the changes they have made over the past year or so. There the boys got to see the baby rabbits and chickens (and Will picked up both). 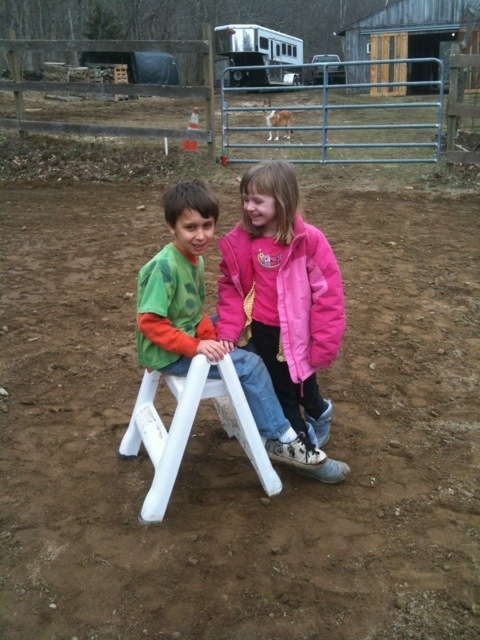 After a full tour of the farm, Anna took the boys riding on one of the ponies. 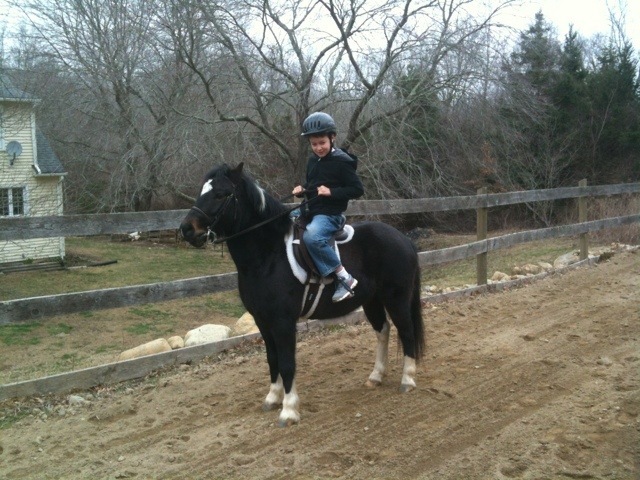 Will is interested in taking riding lessons – maybe we will put him in lessons a couple of times a month once they start offering them. Glad you had a good time. 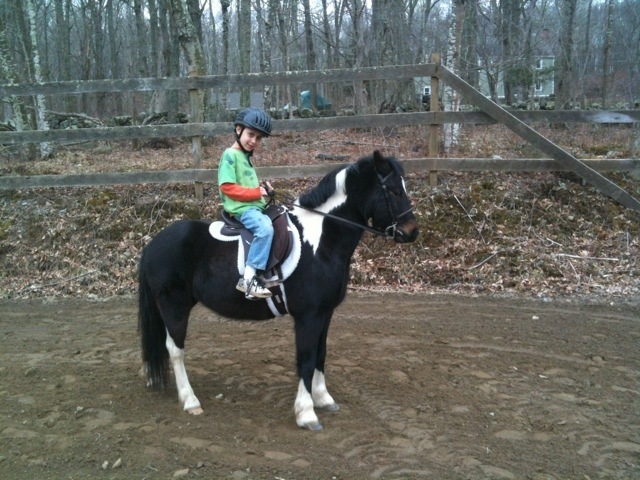 We have updated our webpage http://thesawyerfarms.com/horses with the pricing details for lessons. Email or call Anna if you want to enroll Will.